Established in 1977, Nisa is an award-winning group that helps independent retailers flourish in the retail market by distributing quality and competitive food and products at scale. With a turnover of more than £1.2 billion and employing approximately 300 direct employees primarily based at our Partner Support Centre in North Lincolnshire, Nisa’s retail strategy is to deliver benefits for more than 1,300 independent retailers (operating more than 6,300 stores nationwide) and help them grow their business in an increasingly competitive convenience retail sector with a full support structure. In May 2018 the Co-op completed its acquisition of Nisa Retail Limited. This brings enhanced buying capability, allowing Nisa Partners to trade their businesses in the way they choose, backed by competitive prices and promotions with access to a deeper range including a wide selection of Co-op’s award-winning, high-quality own brand products across all categories. 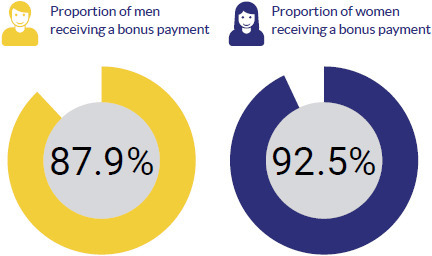 Our approach to employee reward remains gender neutral by design and we therefore remain confident that any gaps between male and female pay and bonus are driven primarily by the structure of our workforce. We continue to have more men in senior roles which command higher levels of both pay and bonus potential. However, we positively promote equality in all areas of recruitment and retention, as well as offering numerous flexible working and family friendly arrangements to strengthen our employee’s work-life balance. Additionally, we are seeking to support women develop the skills and confidence to move into leadership roles, through industry initiatives including Women in Wholesale and Grocery Girls, which many of our colleagues (not just women) are participating in. These initiatives aim to provide mentoring opportunities, increased development events and further networking opportunities within the industry. We have made steps to enhance our maternity and paternity policies above the statutory minimum payments level, to further financially support those colleagues who choose to take family leave and encourage shared parenting. One of our challenges when recruiting in our industry sector is that it is historically male dominated, and the number of female candidates may simply not be there for the more senior roles. We have therefore improved our involvement at school and college level, entering into partnerships with local higher education colleges, creating an increased number of apprenticeship opportunities (we currently have 21 colleagues studying on an apprenticeship programme) across a variety of disciplines and actively encouraging a more diverse candidate pool with a view to creating sustainable change in diversity and inclusion for the business. At Nisa, we see the gender pay gap as part of our overall diversity and inclusion agenda and it is our responsibility as an employer to make sure that we create an inclusive culture. As part of this, we have launched new corporate values that we are embedding into our ways of working in order to support our decision making and enable an inclusive environment where all colleagues can reach their potential.